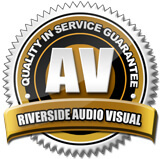 Riverside AV was founded in 2001 by Riverside Dave who saw a need for quality audio visual rentals in SE Washington. From our first day in business, Riverside AV has provided high quality audio visual services and rentals for hundreds of events. We focus on high attention to detail and audio quality, as well as high quality video and presentation media. If you need it to be right the first time, you can count on Riverside AV to help you make it happen! 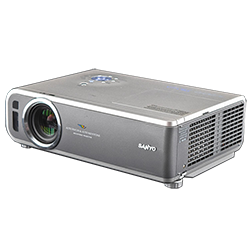 Very bright and dependable 3000ANSI Lumens projector! Perfect for PowerPoint Presentations, trade shows, productions, weddings, concerts, outdoor movies, and more!